John’s 35 years of industry experience began in the US, continued to the middle east and SE Asia with Dresser/Western Atlas as a Completion Engineer. In 1992, he transitioned to a position as a Well Site Manager for Unocal Thailand and currently consults for the Chevron Completion Engineering group in Bangkok. Chevron Thailand currently drill over 500 wells annually and perforate >40,000 ft per year. 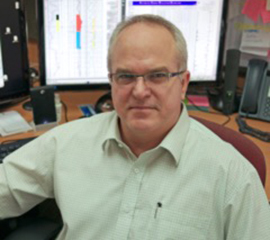 His responsibilities include his role as cased hole logging and perforating SME, electricline contract management and the maintaining the CH-OH Composite log he developed in 2005 as well as the Automated Cement Evaluation Scorecard he developed in 2010. John is published with “Chevron’s Clear Leader” magazine, SPE and SPWLA and is active in the International Perforating Forum and API subcommittee.